1. 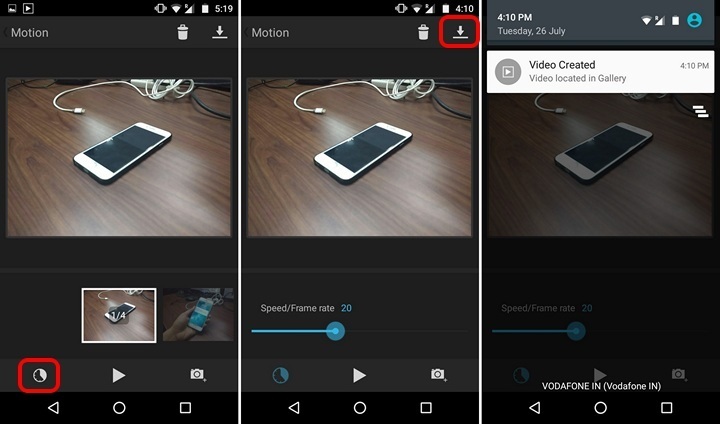 You will have to download the Motion app from the Google Play Store to start capturing stop motion videos. The app is around 15 MB in size and it’s available for free with a few in-app purchases, so you can get it with ease. 2. When you first open the app, you will be welcomed straight by the bland home page of the app. Here, tap on the “+” icon at the top right to start creating new projects. Then, you will be taken straight to the photo capturing screen, where you should tap on the camera icon at the bottom right to begin capturing frames. 3. The camera viewfinder screen will start up and you can capture frames in the landscape mode. You can capture a number of different frames that you want for the stop motion video. Once captured, press the tick button. 4. Once done, you will see the frames you have captured. Here, you can remove a frame, press the play button to see the stop motion video or press the camera icon to add more frames. You can also press on the clock icon to set the speed/frame rate of the video. You can set it up to 50 frames per second. 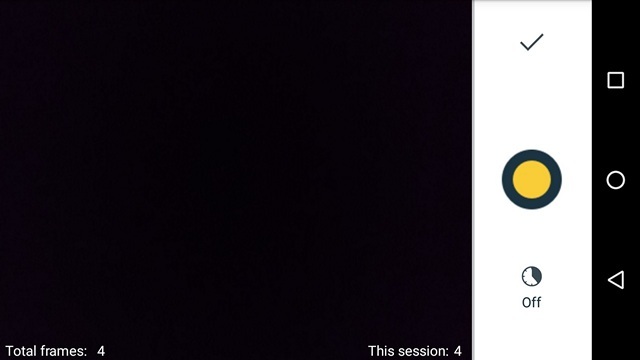 To get the stop motion video (360p) on your device, just hit the download icon at the top right. PicPac is a highly popular stop motion capturing app on Android and some would even say that it’s better than the Motion app we detailed above. It brings features like the ability to take photos or get them from your device’s Gallery, Instagram account or you can even add videos from your device to break it down into pictures. Moreover, you can add your voice or music to the stop motion videos. While there’s a free version of the app available, the Pro version brings the ability to create videos in up to 1080p resolution and more. Along with stop motion videos, PicPac also lets you create time-lapse videos and GIFs. While we certainly appreciate the number of features it brings, the app did not perform too well for us. There were regular crashes and hang ups but it might be device specific, so try out the app for yourself. 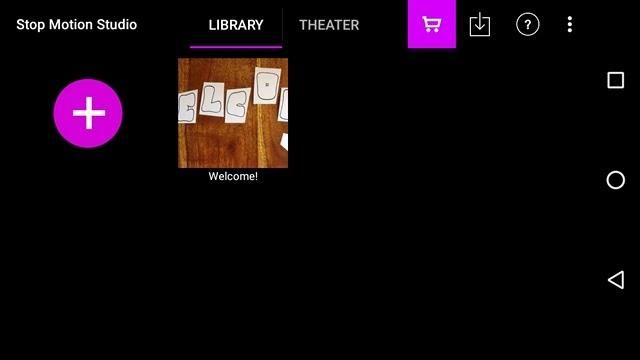 The Stop Motion Studio app brings a plethora of features aimed at making you a master at stop motion videos. The app brings you different modes like overlay mode, grid mode, cinema mode and square mode. It also features an integrated video editor, themes and more customization features to make sure your videos look amazing. It also packs in features like Green screen, where you can easily change the background of the videos. You can export the created stop motion video in up to 4K resolution or as a GIF as well. Well, to be honest, the Stop Motion Studio app packs in so many features that we can’t just tell them all here, so check out the app. The features are certainly impressive but when it comes to performance, the app was pretty slow and we faced a number of crashes. Well, you should still give it a shot if you are looking for a stop motion app with tons of features. 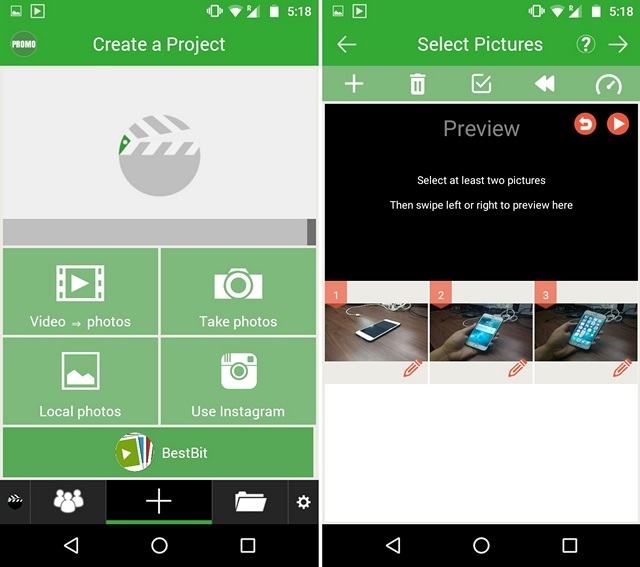 Ready to create some awesome stop motion videos on Android? As you might have noticed, the PicPac and Studio Motion app do bring in a lot of features but they lack the speedy performance and simplicity that Motion offers. The Motion app might be limited but it captures and creates stop motion videos like a charm. To sum things up, it just works. 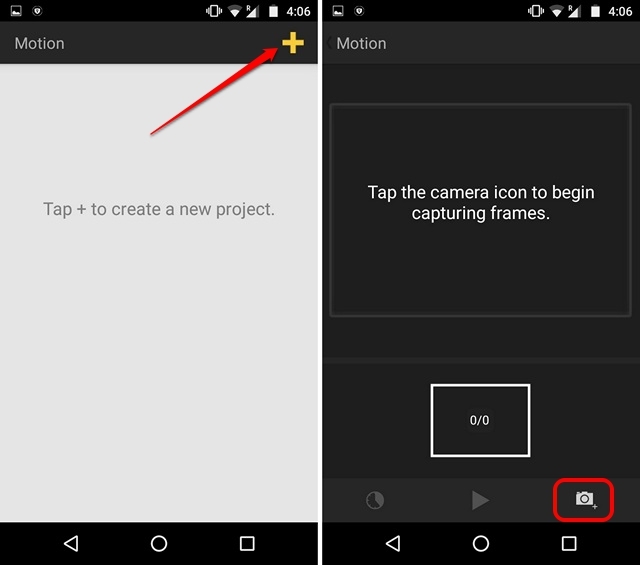 So, install the Motion app and start creating stop motion videos through your Android smartphone. Do let us know what you think in the comments section below.